Royal Mail is no longer the de facto postage and courier service for the UK, albeit obviously still a big deal for many. Over recent years there has been a rise in the use of alternative courier services available to the public. So we set out on a little journey to find some of the best. Knowing that we wouldn't be able to test every size of parcel we struck a compromise with my ‘test’ package. The ‘test’ package was set as an 8cm cube, 1kg in weight. We thought that this way there would be some good options to play with. Do bear in mind that you’ll want to use your own parameters when getting quotes from courier services. Note: All prices include VAT. Delivery was set to go domestically, from one address in the UK to another UK address. Kicking off we have MyHermes, easily one of the most talked about services due to its low prices. The price really was the best factor though. If you wanted the package you were sending to be collected from your address it would cost £3.30 and would be delivered in roughly three days. But if you fancied a walk and a day cut off the delivery time you could drop it off at your nearest MyHermes Parcelshop (and even save yourself 30p). If you're looking for something cheap and cheerful, MyHermes could be your ticket. The one downside we saw, and this might be a deal breaker for people sending particular goods, was that the £25 included cover for the package came with an extensive list of inapplicable item types. You won’t have a courier arrive at your house to pick up your package, nor will it go straight to your customer's door, but using Collect+ definitely has its perks and is a piece of cake to use. First, you just drop off your parcel or package to a designated point (which is usually a local shop) then track its movements online. This keeps things simple and it's handy because the local shop certainly won’t be as busy as the Post Office! Your customers can also log in to Collect+ and track the package with the same reference number. You may find that your customers check where their package is at least once, though, as the delivery time is a touch slower at 3-5 working days. Pricing is reasonable though; a 'Light Parcel' up to 2kg (double my ‘test’ package's weight) came in at £3.99. Your package is also covered for up to £50 free. This is a little bit of a cheat because Royal Mail Group does own Parcel Force, but they have some useful features for people that might be sending something a little more valuable, and discounts for those that find that the price is a bit much. Speaking of price, the best deal we could get on sending my 1kg, 8cm cubed parcel was £11.96, with a guaranteed 2 working day delivery time. The perks are pretty great, though: the included free cover protects items worth up to £100 so for valuable goods it’s excellent. Also, everything is tracked through Parcel Force’s website for free. You even have the option of a Saturday delivery, but as you’d expect that costs extra. If you're looking to make a dent in the postage costs of Parcel Force, you have the option to brave the Post Office for some discounts which, although they don’t really save you that much, could still make all the difference for some. Possibly one of the best all-rounders, iPost Parcels has done a very good job of covering all the necessities for labelling your parcel, arranging the pickup and tracking your deliveries. We actually found it the easiest to get on with - when getting a quick quote we didn’t have to look far, and when booking it didn’t feel like anything was superfluous even though we were presented with a lot of options. 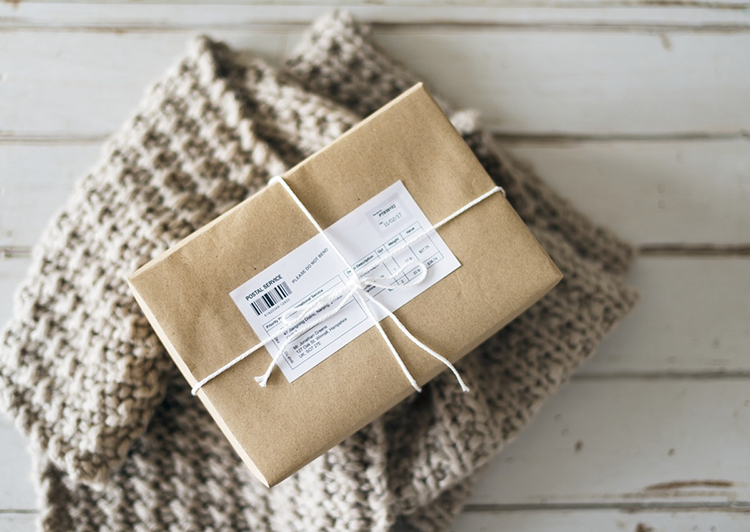 iPost Parcels' prices reflect their no-nonsense presentation; the 1kg parcel came to £4.19 with a 2-3 day delivery time, with the added option of next day delivery for an extra pound. You can then save a pound by dropping your parcel off to one of their 52 depots if you don't mind the trek. Tucked away in the FAQ we did find that the free cover that’s given is just £25, but considering the price of the service it’s not a huge surprise (just don’t send your gran’s vintage necklace unless you’ve shelled out for the added cover). ParcelHero offers a door to door courier service at a very affordable price and offer free £50 cover on every shipment. Using an array of reputable carriers, ParcelHero is a trustworthy company offering a very efficient service. This option offers a massive ease of use and simplicity in its pick up drop off service and free insurance for up to £50. It can be worth the extra money if you are a busy business or far away from a post depot. Currently processing up to 26% of all UK mail, Whistl handles large clients, and offer a range of services with varying letter and package sizes, and can provide a door to door service, which is super useful for busy businesses. As market leaders of door-drop media and leafleting services, Whistl may be a good option for you if you are thinking of door to door marketing in your area. Find out how Whistl can help you with this and get a quote; they boast really reasonable prices for a useful service that allows you to connect with your potential customers in their own homes. InPost is a really cost effective postal service that makes use of lockers for sending and receiving packages. There are lockers situated all around the UK; you can even find them in local supermarkets and petrol stations. To use Inpost, simply, print out the label, take it to your nearest locker, scan the label and deposit your package. This will then be collected and sent to the nearest locker to the recipient and a text/email notification will be sent to notify them. Why not find out where your nearest locker is and see if this option could work for you. Formally known as Business Post, UK Mail is a postal service specifically designed for businesses. Offering next day collection and delivery parcel services, UK Mail also offers a pay as you go service without the need for contracts. For parcel posting services, UK Mail teams up with IPostParcels, which are a really reliable service, catering to all parcel posting needs, from labels to free office collection, and does appear to be one of the most cost-effective options on the market at present. Getting a quote is really simple, why not check them out and get a quote to see how much you could save? As with any service, everyone will have had different experiences of the above couriers - some bad, some good. On many occasions, mileage may vary, which why it's always important to do your own research. But we hope you’ve found these reviews helpful in your search for an alternative to Royal Mail, or even if you were just curious as to what the options were. Who do you use for delivering your parcels? Are they any good? Add your comments to the discussion below!